Fiat 500, Punto, Grande Punto, Bravo, Brava. Used cars, used vans, used SUVs, used compact cars, Fiat used cars. 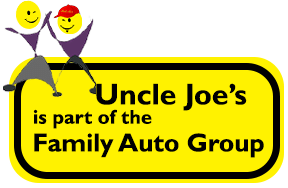 Uncle Joe’s Cars and Trucks is a used cars dealership for bad credit or no credit. We are located in Spartanburg area. Do come see us for any of your auto loans needs.